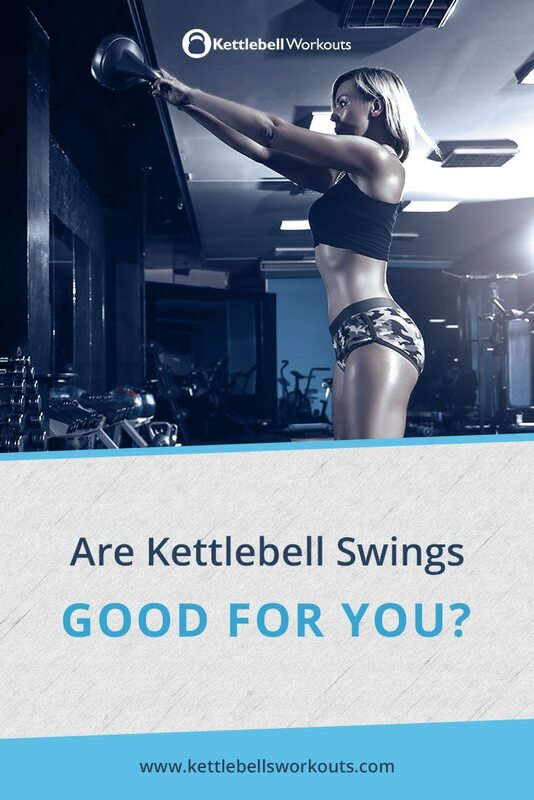 Are Kettlebell Swings Good for You? I recently got asked “Are kettlebell swings good for you?” so I thought I would answer the question here. The two handed kettlebell swing is very dynamic and involves swinging the kettlebell between the legs and up to about chest height. You will notice that the feet do not move during the exercise which is great because it means the exercise can be performed in a very small space. The dynamic nature of the exercise requires an explosive movement from the hips which requires a lot of energy. So the kettlebell swing is very demanding on the cardiovascular system without the need to move your feet or impact your joints. Want to feel like you have just sprinted without moving your feet? Try 30 seconds of non-stop kettlebell swings. The kettlebell swing is based on the deadlift pattern which is one of our fundamental movement patterns. Every time you pick up something from the floor and bend at the hips you are using the deadlift pattern. The deadlift movement pattern is our strongest movement and so uses the largest and strongest muscles in the body namely the buttocks, legs and back. So another advantage of the kettlebell swing is the large amount of muscle recruitment you get from the exercise. With just one swing of the kettlebell you are activating up to 600 muscles at a time. The more muscles you use the more energy required and the more calories you burn. 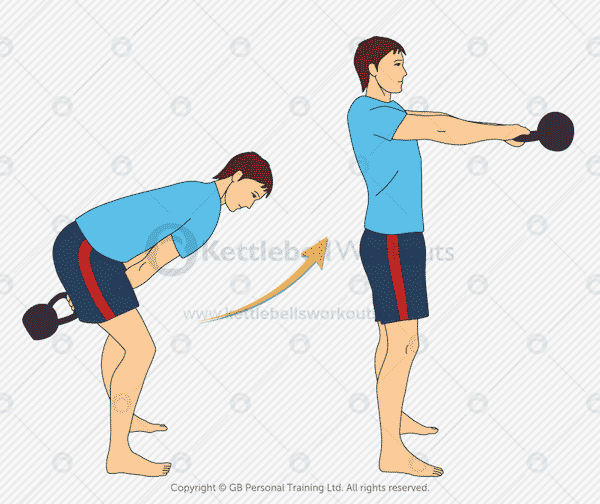 The kettlebell swing requires the body to stand tall and drive the kettlebell upwards. 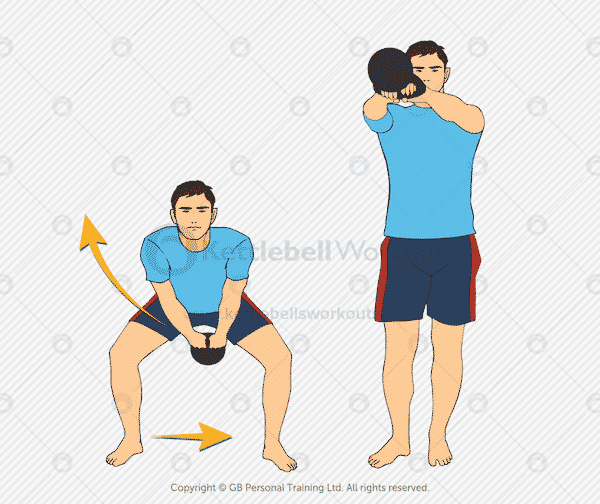 As you drive the kettlebell up using the hips and legs you recruit a large amount of muscles in the back of the body. Many exercises today focus more on the muscles at the front of the body because they are the ones that can be seen in the mirror. 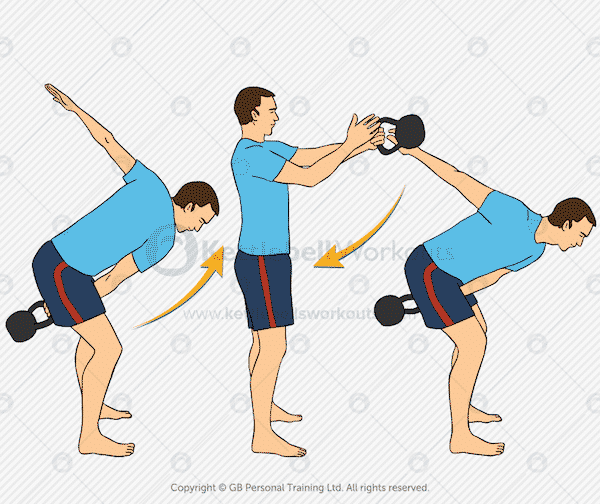 The kettlebell swing is different because it strengthens the posterior chain, improving your upright posture which in turn pulls your shoulders back and reveals the chest. With a strong emphasis on desk jobs and computer work many people spend too much time seated. The result of excess sitting is a weakening of the core and abs muscles. The kettlebell swing helps to combat this by strengthening the abs as you lock into the upright position. The abs work hard at the top to prevent the body from over extending backwards, similar to a vertical plank position. During the swing the lower back should also be kept in a static (isometric) position so the movement can be generated by the hips. The isometric hold of the lower back helps strengthen the position leading to a stronger lower back in daily life. Once you have mastered the two handed kettlebell swing then there is plenty more on offer. Next you can progress to the one handed swing and then the alternating swing. Finally you can flow between all 3 swinging variations to add even more variety. The kettlebell swing uses 100’s of muscles in one movement, is very cardiovascular without the need to move your feet, improves your posture and burns lots of calories. The upshot of all this is that you can get a lot done in a very short amount of time. For example swinging a kettlebell for 30 seconds and then resting for 30 seconds can create a highly effective workout if repeated for 5 – 10 minutes. If you experience pain when you lean forward or bend backwards then the kettlebell swing is not for you. If you have not mastered the basic deadlift movement pattern and swing from the lower back then you risk injuring yourself. If you start with a weight that is too heavy and swing from your lower back then look out! 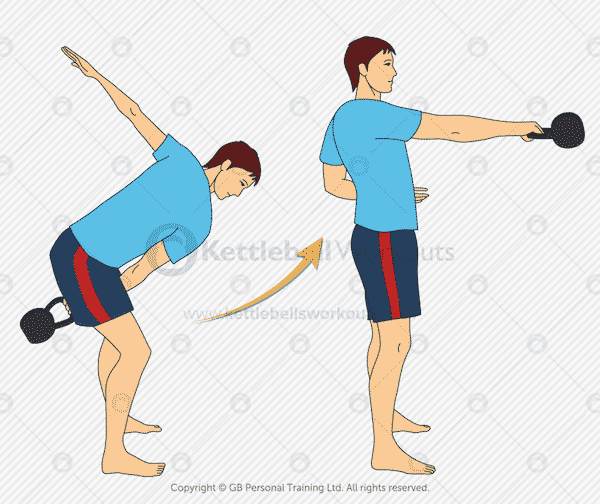 Providing the kettlebell swing is performed with good technique and you have no current pain in your lower back then the swing is a great exercise choice. You can achieve some truly amazing results just by focusing on this one exercise. Copyright © 2019 GB Personal Training Ltd. All rights reserved.